A cult has risen and threatens to taken over the world! It’s up to "The Bandits" to fight their way into enemy territory and take down their operation. 1-4 players Coop/PvP Tank Brawler. 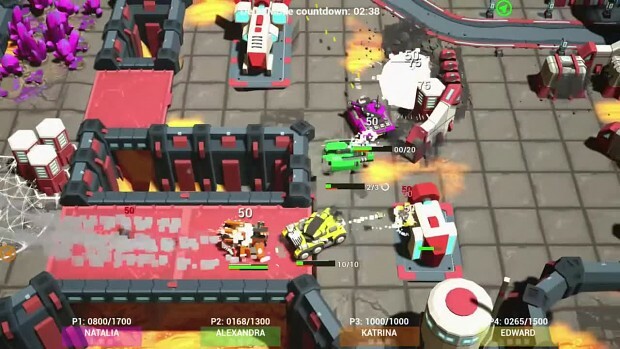 A modern take on the classic tank arena genre. Influenced by beloved classics like StarFox 64, and sprinkled with some Moba gameplay elements. Bandits is truly a fresh approach to coop adventure games.